Announcing a stunning new initiative by the Australian Photographic Society – a very special new photographic Prize, unlike any previously seen in Australia, the opportunity for Conceptual photographers to be recognised as the best in Australia – and to win significant prize money. Employees of the APS, Magnet Galleries (Magnet), MyPhotoClub, and sponsors are not eligible to enter. Judges are not eligible to enter. A maximum of four (4) entries may be submitted by any one entrant. Entries must have been created in the twelve months preceding the closing date for entries. Watermarked images will not be accepted. Entrants must warrant that each work submitted is original and does not infringe the copyright, moral rights or other rights of any third party and that the entrant owns all rights and interests in the work submitted. All entrants must indemnify and keep indemnified the APS, Magnet Galleries and MyPhotoClub against any claim by a third party in relation to their entries. Entries selected as finalists must not be used in promotional material for any other event or exhibition until the conclusion of the ACPP 2019 exhibition. Entrants must warrant that their entries are their original work. They must be the sole copyright holder and intellectual property owner of their entries in accordance with Australian law and warrant that any intellectual property rights and moral rights of a third party have not been infringed. Intellectual property rights in entries remain with the entrant as the copyright owner. It is a condition of entry that the entrant grants to the acquiring gallery (Magnet) and APS without conditions, a perpetual royalty-free licence to use, publicly display, publicise, reproduce the entry or part of an entry, including in electronic form and broadcast, for publicity, promotional, educational and administrative purposes associated with the ACPP, in both digital and print mediums. For example, the work of previous finalists may be reproduced in publications promoting the ACPP in future years. It is a condition of entry that the entrant grants to APS and Magnet without conditions, permission in perpetuity to supply copies of entries to third parties for purposes associated with the ACPP. Where required by Australian law, entrants must warrant that they have obtained the consent of all persons whose likenesses appear in their entries. This includes the requirement that those persons understand their rights regarding the photograph being taken. Such consent must include use of the entry in perpetuity for all marketing, educational and publicity uses of such photographs and ensure that no additional consents or licences are required in respect of names, trademarks, designs, works of art or any other intellectual property depicted in the work. The persons must be informed that their image may be displayed in the exhibition and its tour, as well as featured in accompanying promotional and advertising material in print and online format. Where information is disclosed about any person in the artist statement, the entrant must also obtain permission for that information to be used in conjunction with the image. If a person is not able to legally give consent (for example, for reasons of age or administration), entrants are required to obtain the consent of someone who is able to give consent on their behalf. If an entrant’s work is selected for exhibition, APS might require them to provide written evidence of such consent. Each entrant may submit up to four entries for selection for the ACPP. Each entry must be accompanied by a fully completed entry form as part of online registration of entry. Entrants must submit an artist statement of maximum 100 words as part of the entry form. APS may edit artist statements for consistency prior to publication. Payments must be made with a debit/credit card using the MyPhotoClub payment portal. Entrants whose payments cannot be processed will be considered ineligible. Each entry must be submitted via APS’s MyPhotoClub link as a digital file (maximum 5 Mb) saved as a JPG at up to 300 DPI, at least 2400 pixels wide or tall. Prints (hard copies) of entries will not be accepted for the initial judging and selection process. Entries will be accepted from 10 AM AEDT Tuesday 8 January 2019 until 11 PM AEST Friday 3 May 2019. Q: What is Conceptual Photography? A: Conceptual photography is photography that illustrates an idea. Conceptual photography means that you have a very specific idea you want to share with your audience. It can be something rather simple like happiness or sadness or something more complex such as gender identities, existential issues and so on. The ‘concept’ is both preconceived and, if successful, understandable in the completed image. Q: I’d like to enter a series instead of a single photograph. If all the photographs in the series meet the criteria, is this possible? A: A series of images could only be submitted as one entry if all images were contained within the one file uploaded and within the one framed print if selected as a finalist for exhibition. Multiple images intended to be presented as one work will be rejected if uploaded separately. Q: Are diptychs/ triptychs allowed if they fall within the size? A: Yes. So long as they are uploaded as one file and, if selected as a finalist, printed for exhibition as one work within the allowed finished size. Q: Can I enter 4 images that could be judged separately, rather than as a panel? A: You can enter up to 4 separate images and each of them will be judged separately. In fact, you cannot have your entries judged as a panel. A: The reference to Prizes or exhibition at major public institutions does not include FIAP-approved salons. It is about such things as the Head On Photo Awards, the National Photographic Portrait Prize, the Martin Kantor Portrait Prize, the Olive Cotton Photographic Portrait Prize, the Josephine Ulrick and Win Schubert Photography Prize, the MORAN CONTEMPORARY PHOTOGRAPHIC PRIZE, the William & Winifred Bowness Photography Prize, the Heritage Bank Awards, the Fremantle International Portrait Prize, and so on. Since the words in the Terms and Conditions say “must not have been previously selected” there is no barrier to entering the same images elsewhere after the closing date for the ACPP 2019. Q: If I am an accredited photography judge does that mean I cannot enter? A: It is only the judges of this ACPP 2019 that cannot enter ACPP 2019. Q: Since a warrant is a legal document do I have to get a JP to confirm my statements? A: No, the word warrant as used in the terms and conditions is a verb and simply means “to guarantee or provide assurance”. Q: Can I use a courier to collect work from Magnet Galleries after the exhibition concludes? A: Yes, provided Magnet Galleries are advised that you have authorised the courier to collect your work. Q: Does the finished work have to be paper based? Are prints on acrylic or metal allowed? A: The choice of medium rests with the finalists. Q: Is the maximum size framed/finished as outside measurement? A: Yes, images must be no larger than 80cm (h) x 80cm (w), including matt and frame. Q: Do finalist’s prints have to use acrylic glazing or Perspex if they have been printed on acrylic or metal? Q: What does the specification that prints may be no larger than 80×80 cm mean? A: It means the finalists’ prints for exhibition can be no more than 80 cm wide and also no more than 80 cm tall. So, for example, a print could be 80 by 45, or 66 by 80, or 73 by 52, and so on. The winners of the ACPP and the best entry in the ACPP competition by an APS Member (which may also be the winner of the ACPP) will be announced on Thursday 4 July 2019 at the 6.30 PM AEST opening of the exhibition of the finalists’ prints at Magnet’s Melbourne Docklands Gallery. The winner of the ACPP will be awarded $8,000 cash. The winner of the best entry by an APS Member will receive $2,000 cash. If the winner of the ACPP is an APS Member then that entrant will receive both cash amounts – totaling $10,000. All finalists who are not APS members will be granted free membership of APS for twelve months from the date the finalists are announced at the opening of the exhibition. The granting of such free membership will not qualify the finalist for “best entry by an APS member” in this ACPP. Other prizes may be added as sponsors are announced. The ACPP is acquisitive; meaning the printed winning framed artwork that is awarded the ACPP immediately becomes the property of Magnet Galleries. There are no sections in this competition. 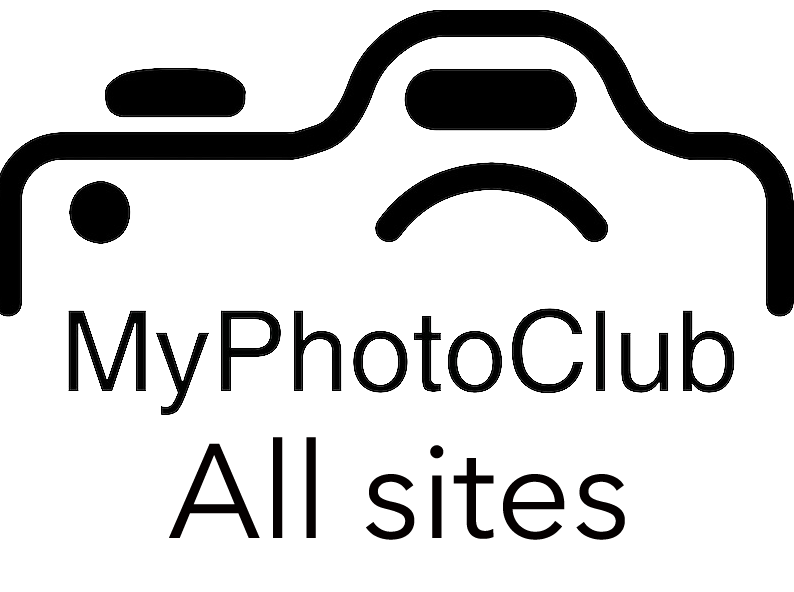 Each entry must be submitted via APS’s MyPhotoClub link as a digital file (maximum 5 Mb) saved as a JPG at up to 300 DPI, at least 2400 pixels wide or tall, with an sRGB colour profile. Prints (hard copies) of entries will not be accepted for the initial judging and selection process. Entries will be accepted from 10 AM AEDT Tuesday 8 January 2019 until 11 PM AEST Friday 3 May 2019. Works must be submitted as finished, framed prints stable enough to ensure transport and installation (unframed works will not be accepted). D-rings must be attached to the reverse of the work and ready for hanging. Framed images must use acrylic glazing or Perspex only, not glass. Images must be no larger than 80cm (h) x 80cm (w), including matt and frame. Multi-panel works are regarded as one work and must come within the maximum dimensions above, and include any specific installation instructions. Prints must clearly bear the title of the work and name, address, telephone number and email address of the entrant on the reverse of the work. Magnet will ask finalists to re-print, re-mat or re-frame works that it thinks are not suitable for display and to re-deliver them at the finalist’s own expense. Delivery must be made in person, by a nominated representative (such as a friend, relative or artist’s agent) or by a courier/freight company by the date notified to the finalist. The work must be accompanied by printouts of the completed entry form. Alternatively, entrants whose works are selected as finalists may (at their own cost) arrange to have their exhibition ready prints made (and framing arranged) by Photonet@Magnet, avoiding the need to deliver them. All entrants whose works are selected as finalists may also arrange (at their own cost) for Photonet@Magnet to print on demand as many copies at whatever sizes they wish for their personal use or to be offered for sale during the exhibition. The organisers will NOT pay for any costs incurred in the delivery of any entry, including freight, customs duty or import tax. Each finalist grants to the APS, Magnet, touring partners and sponsors a non-exclusive, perpetual, irrevocable, worldwide and royalty-free licence to use his or her image for advertising and promotion of the ACPP, APS or Magnet in any form of media now known or yet to be devised, both from the date the finalists are announced and in future years. Entrants acknowledge and agree that the APS, Magnet, touring partners and sponsors are not liable to pay the finalists any fee, royalty or other form of remuneration for this right. Unless otherwise advised beforehand, finalists must arrange to have their work collected from Magnet@Docklands during opening hours (Thursdays to Sundays: 12Noon to 4PM) within the period Thursday 1 August 2019 to Sunday 18 August 2019. Finalists will be reminded by email regarding dates and times when they can collect their work. It is a condition of entry that finalists are willing to sign a “Confirmation of dispose of artwork” form authorising APS and Magnet to dispose of work that is not collected within the collection period. APS and Magnet reserve the right to exhibit or display finalists’ works at additional venues to be determined until 31 December 2020. Finalists are advised to insure their works against loss or damage during the ACPP 2019 competition/ exhibition period of travelling, handling, judging, exhibition and storage. All reasonable care will be taken with all entries but the APS takes no responsibility whatsoever for loss or damage however caused to any works submitted. All entrants agree to receive information and updates about the APS and Magnet through their nominated email address. Catalogues for this competition will appear here. This is the first year that this competition has been conducted. The judges will have absolute discretion in determining the eligibility of an entry based on their interpretation of the Terms and Conditions of entry. The judges’ decision will be final and not subject to discussion or appeal. No correspondence will be entered into. The judges will select a maximum of fifty finalist images from the digital images uploaded (“judging ready”). Entrants whose work/s have been chosen as finalists will be notified by APS (by email or telephone) of their success by 20 May 2019. Unsuccessful entrants will not be personally notified. All entries selected as finalists will be displayed on a-p-s.org.au and may also be displayed on social media at the discretion of the APS. They may also be displayed on the Magnet website and on social media at the discretion of Magnet. All finalists must sign and return a confirmation of entry form that will be emailed to them when they are notified. If the artwork is for sale, additional information will also be requested. The finalists must submit “exhibition ready prints” for exhibition and final judging by 3 PM AEST Friday 28 June 2019. The prizes will be judged from the exhibition ready prints submitted by the authors of the finalists’ images.